Maasai girls fear reaching the age of 13 and completing primary school. This is when they stop going to school. They do not look forward to the future. They know what is coming. Their fathers are going to marry them off to much older men, with multiple wives, for their dowries (cows and goats). All they have to look forward to at age 13 is a lifetime of endless hard work and poverty. You can help stop this! ... that these girls should not be forced into child marriages and early pregnancies and a lifetime of endless poverty. ... that the way to save these girls is to provide them with secondary school and college educations. ... that the knowledge they gain and the skills they develop through this additional education will also accelerate the drive to gender equality in the village of Eluai and, eventually, to other villages in Maasailand. A gift in an amount below will help one young girl obtain a secondary school and college education. A gift of any amount is welcome. Won’t you help us help these girls? 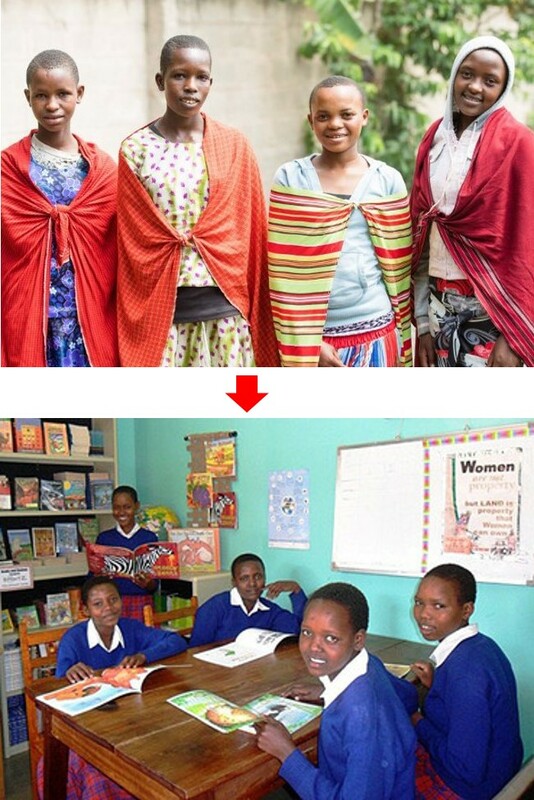 Find out about sponsoring a 13 year-old girls education at Sponsoring an Education.